THIS IS AN OLD STYLE RADIO SHAPED BUT INSIDE ALL THE THINGS IS MODERN.THIS IS RE CHARGEABLE FROM ELECTRIC POWER AND AFTER THAT YOU CAN USE IT OUTDOOR AND INDOOR AND YOU CAN ENJOY LISTEN MUSIC VIA FM/AM STEREO RADIO AND THERE IS SW3 BAND RADIO TOO.YOU CAN USE DIRECT USB DRIVE AND CAN LISTEN MUSIC.YOU CAN USE YOUR TF/SD CARD DIRECTLY YOU C..
PUBG R20 Gamepad Controller + iTunes 10$ Card.. 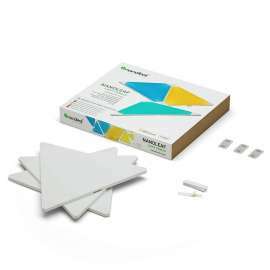 This product requires the Nanoleaf Rhythm Smarter Kit to work. Nanoleaf Rhythm Smarter Kit works with both iOS and Android devices. 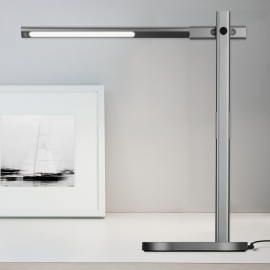 It beautifully blends lighting design and technology and gives you easy control from the App, voice control, or the physical controller. Wake up to the sunrise, improve your mood with the movement of light and colors, ..
Nanoleaf Aurora Smarter Kit Features- RGBW LED panels—16.7M colors + tunable white (warm sunrise to brilliant daylight)- Drill-free mounting kit included—no holes, no hassle!- Wi-Fi product (no hub or bridge required)- Compatible with iOS, Android, Amazon Alexa, and IFTTT (Coming Early 2017)- 3 Ways to Play! Operate with your voice (iOS and Amazon .. Compatible with iPhone6 plus/6/5/5S, Samsung Galaxy S6 Edge/S6/S5, and other smart phones, and all cameras. Ring light efficiently removes sharp shadow, and is especially ideal for beauty facial photo-shoot.LED Ring Light:Dimmable 14" LED SMD Ring Light with a wide dimming range from 1%-100%. Special LED SMD design, lightweight and portable. Consta..
PUBG Premium Quality Transparent Quick Shooting Game Controller Assist Gaming Accessory Kit (Transparent, For Android, iOS)..
Description​Capture moments with Sponge Surfcam, this camera is characterized by high-quality video recording, waterproof and convenient attachment to different places / objects / surfaces. Sponge Surfcam supports 1080p 60 fps (frames per second) video and 12-megapixel image quality. 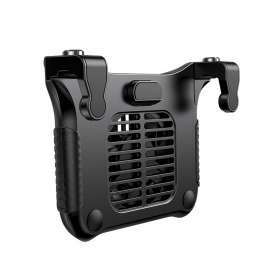 Special, water-resistant case allows you to dive u..
PUBG R20 Gamepad with Dual cooling Fan L1R1 Trigger and Shooting.. Product DescriptionBASEUS Winner Cooling Heat Sink PUBG-Gampad Excellent Radiator with a Fan - BlackBuilt-in cooling fan, playing while cooling, more fun with your gamesFour fingers linkage, aiming and shooting can be done at the same timeUpgrade conductive silicone head enables quick and accurate shootingMovable key adjustable to the comfortable p..
HTC Vive Virtual Reality Headset With Handheld Controllers :Inside The ViveOnce you put on the Vive headset, you’re immersed in a world full of surprises. Walk around freely and explore everything. The Chaperone guidance system keeps you safely within the bounds of your play area. Stunning graphics make it feel so real and surreal simultaneously.Pr.. 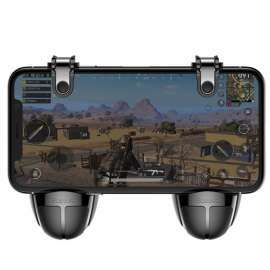 Mobile Game | Joystick | Controller Trigger | Sensitive | Fire Button | L1R1 Shooter | for PUBG/Knives Out/Rules of Survival (Black)..
PUBG Controller Trigger Joystick L2R2 Shooter - Steel-Plastic..
PUBG Trigger Button For L1 - R1 - Steel / Plastic Tranparent + Stand..
PUBG Controller Trigger Joystick L1R1 Shooter - Steel / Plastic Tranparent.. The L1 R1 Triggers lets you aim down site and shoot with precision without the restriction of having to use your thumbs for all 3 actions.FortnitePUBGRules of SurvivalKnives outFree FireSurvivor RoyaleCritical OpsSupported DevicesiPhones 4, 5, 5s, 6, 6s, 6s+, 7, 7+, 8, 8+iPad, iPad Mini, iPad ProSamsung S6, S7, S8, S6 Edge, S7 Edge, S8 +XiaomiLGAnd..
Metallic Aim and Shoot Mobile Game Controller --Fire L1R1 Trigger Buttons for PUBG Fortnite Gaming Trigger Joystick1. 2018 latest design - Mobile Game Controller(Newest Version) the use of mobile phone screen area is less, does not affect the line of sight.2. The key is designed in the back of the mobile phone, close to the finger, long press not t..
1.Len type: 0.36X Wide + 2X Zoom + 0.63X Wide + 15x Macro + 198 Degree Fisheye + CPL+ Kaleidoscope 2.Material: Glass optics + Aluminum Alloy + ABS plastic 3.For iPhone iPad and other 98 Percent Android Smartphone  0.36x Wide Angle Lens Get a wider scenery than normal camera,very useful when you wan..
1.Len type: 2X Zoom + 0.63X Wide +15X Macro + 198 degree Fisheye + CPL + Kaleidoscope Lens + Radial Fliter + Star Filter + Flow filter 2.Material: Glass optics + Aluminum Alloy + ABS plastic 3.For iPhone iPad and other 98 percent Android smartphone Effective Images [1-2] 0.63x Wide Angle Lens N..
Never lose your glasses again. Find your glasses with your phone The world’s smallest Bluetooth tracker makes lost glasses a thing of the past. 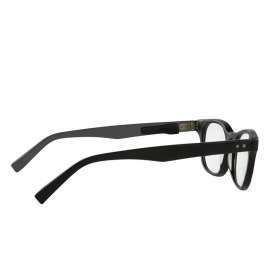 World’s Smallest - The Orbit for Glasses discreetly fits on the arm of most glasses (does not fit aviators) Rechargeable Battery - With no recurring costs, as the Orbit card can simply be rechar.. The laser tag-like experience is made possible with the Inceptor, a keychain-size device that attaches to and augments an iOS or Android smartphone via Bluetooth. Featuring proprietary infrared projection and sensing technology, the Inceptor communicates with other units to enable accuracy up to 150 feet away. The standard Inceptor pack include..
Google Chromecast Ultra : What is Chromecast Ultra? Stream up to 4K Ultra HD & HDR picture quality over your WiFi network with Chromecast Ultra, a streaming device that plugs into your TV’s HDMI port. Chromecast Ultra provides fast, reliable performance with minimal buffering and smoother streaming. ..
As thin as a credit card, slip Orbit Card it into any wallet and never lose it again. Making your wallet ring if in range or check it's last known GPS location on a map. At a push of a button on the Orbit Card make your phone ring, even on silent. You can even use it as a selfie remote. With it's long lasting rechargeable battery, you will never ne..
Orbit - Find What You Need, When You Need It Orbit Keys - Find Your Keys, Find Your Phone and Take a Selfie With its premium aluminium waterproof casing and replaceable battery; Orbit uses Bluetooth technology along with a free app to locate your keys. ..
K66 1.44 inch QQVGA with Ultra Slim design and has a Polymer Inbuilt Battery of 400 mAh in it's segment it is the slimmest phone.Expandable memory upto 8 GB. It can sync with your Smartphone and your calling and incoming call can be Automatically shift on this Phone so that you can use this Phone for calling and use other feature of your Smartphone..
GoPro Hero 5 12MP 4K WiFi Touchscreen Action Camera : Simple, One-Touch Control Easily capture images and high-resolution videos using the Hero 5's one-touch button. A single press of the shutter button powers the camera on and starts recording automatically. No more fuss about recording, no more trying t.. 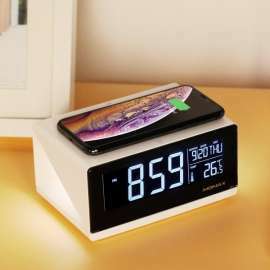 PowerHouse Anker PowerHouse 434Wh/120.000mAh Portable Power For Camping or Emergency Backup, Capable Of Powering Lamps, Phones, Laptops, TVs And Even Mini Fridges. PowerHouse Boasts Triple Output Modes 12V Car Socket Ac 220V (For Devices Up to 120W) 4 .. Product Features Apexel 5-in-1 detachable lens for mobile phones and tablets 198-degree fisheye lens 0.63 wide angle lens 15x macro lens 2X telephoto lens CPL Lens You can create more interesting images Made of high-quality advanced glass and ligh.. 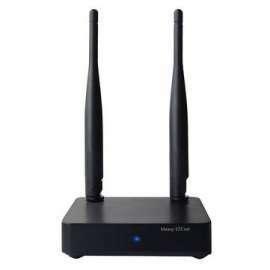 Product Discription : Measy A1W II A2W Pro AM8251 128M Dual Wireless Wi-Fi TV Box Support DLNA Airplay EZcast Miracast Wi-Fi: IEEE 802.11 b/g/n/ Dual WIFI/ best signal Support Protocol: DLNA/ Airplay/ EZcast/ Miracast Support OS: Android/ Android4.0/ IOS/ IOS6 or higher / Mac/ Mac10.7 / Windows/ WinXP/7/8..
Portable Charger Station Desktop Charging Station for Multiple Charging Romoss 5500mAh Li Polymer power banks(include 8pcs) Great for Multiple Power Bank Users at home or office Customer’s Service for Hotels, Clubs, Cafe, Restaurant & etc Fast Speed Charging 2.4V Anti Theft (..
mobile console gaming Mobile console gaming is a reality. By combining the latest iOS device from Apple with Gamevice, you have the best mobile gaming experience to date. Apple iOS devices have processors and storage on par with the most popular consoles. Gamevice delivers the controls and with over 870 games on Gamevice Live you have a gamin..
Lumos E1 The Premium Eco-Friendly LED Desk Lamp Energy-Efficient Lighting Lumos E1 is built with power-saving LEDs that have a 50, 000-hour lifespan Highly Adjustable Lumos E1 offers 5 color modes with 6 dimming levels . Eye-Protection Technology Enjoy even, non-flickerin..